With the ever fluctuating economy and world market today, finding ways to save money on your everyday items is a must for many individuals and families all across the globe. But with our demanding schedules and fast-paced lives, finding the time and energy to think of innovative yet effective ways to cut costs can be near impossible. So for those who are looking for ways to keep your weekly or monthly grocery bill lower, here are three easy tips for saving yourself some money next time you are at the grocery store. We have all been there: your kitchen is bare but you do not know exactly what you want or need to fill it with. When this happens, your grocery cart can end up being stuffed to the gills with food and personal items you do not actually want or need, causing your total to be sky high when you reach the cash register. To combat against this, Paula Rizzo, a contributor at Help Save My Dollars, suggests coming to the grocery store with a plan — a specific, detailed list about the items you plan to purchase. Not only will having a grocery list and sticking to it help you only purchase the items you truly want and need, but it will also help you keep your shopping trips quick by eliminating the time you spend wandering around the aisles looking for some unknown product. While the popularity of couponing seems to have dropped in recent decades, there is still plenty of money to be saved by simply using a coupon when you’re shopping. According to Claes Bell of BankRate.com, you can actually make money off a store if you find a way to use “moneymaker” coupons. These coupons are called “moneymakers” because with the right mixture of coupons and discounts offered by the store, you can get these items for free or even be owed a few cents by the store if you play your cards right. Everyone wants to eat healthier, which means you are spending a lot more time in the produce section of your local market. However, if the produce you are looking for isn’t in season, you could end up spending much more money that you have bargained for. To avoid having this happen to you, you have two options: only buy produce that is in season or forgo store-bought produce all together by having your own garden. According to Neal Templin of the Wall Street Journal, the average family can grow an estimated $600 worth of produce each year, saving you from spending that same amount on produce at the grocery store. 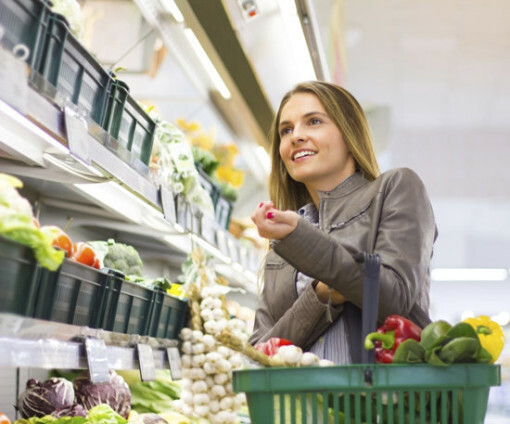 As you can see, there are simple steps and easy changes you can make to save yourself some real cash during your grocery store visits. To keep more of your money in your pocket, try out some of the above tips next time you are at your local market or grocery store.